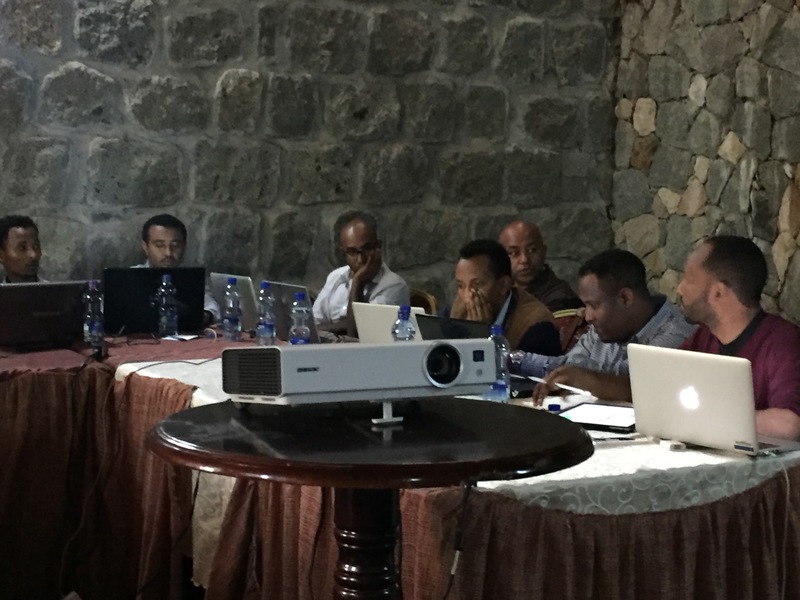 The Environment and Climate Research Center (ECRC) at the Ethiopian Development Research Institute (EDRI) held its Annual Review and Planning meeting from 3-5 July 2016 to review its annual work and plan for the coming year. The meeting convened and chaired by center director, Haileselassie Amaha Medhin, followed by presentations from the thematic research leads on the activities carried out in the past year. The meeting deliberated on each thematic areas core work and devised a mechanism on how to proceed with 5- year research plan. The meeting set out important milestones and targets for the coming 6 months to ensure the necessary preparations and tools are in place to carry out the planned research activities for the year 2017. The meeting thoroughly discussed on baseline data development, data collection approach, instrument development, and inter linkages within the thematic areas to ensure the plan is well integrated. Furthermore, the meeting discussed how to connect core programs during the implementation phase? How to deal with the challenge of sustainability? What are the key lessons from the ‘establishment’ phase? What are the challenges and opportunities ahead? The three days meeting concluded by drafting RBM for the 5 - year research plan.